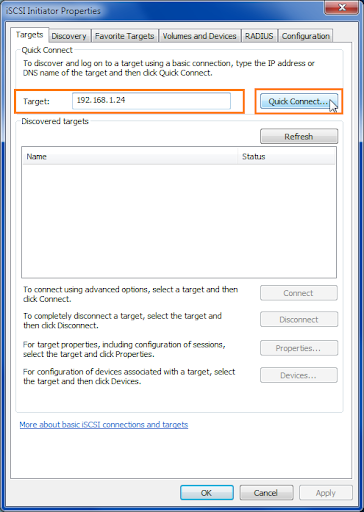 This tutorial will cover the required steps to configure a basic iSCSI Target on Ubuntu. The installation for this tutorial was performed on an Ubuntu 12.04 64-bit system, but the same configuration applies to Ubuntu 12.04-32bit. Before the target can be installed check to see of the system you are planning to run the target from is up to date. 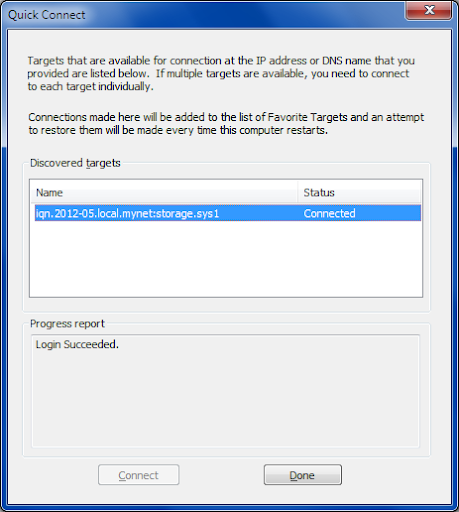 Proceed to install the iSCSI target(iscsitarget) along with iscsitarget-source and iscsitarget-dkms. If you don’t install the extra two packages you will be greeted with the following error every time you attempt to restart the target. * Starting iSCSI enterprise target service            FATAL: Module iscsi_trgt not found. Next edit /etc/default/iscsitarget. Change the default value of ISCSITARGET_ENABLE=false over to ISCSITARGET_ENABLE=true. Not doing so will not allow the target to start. When working with iSCSI you have to also think of LUN’s. 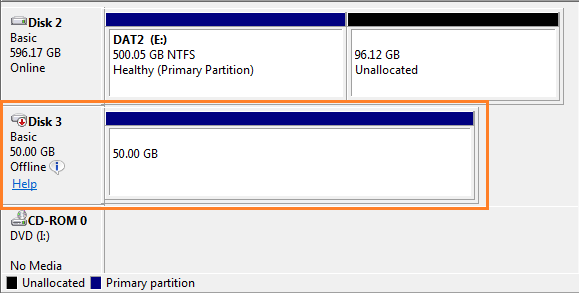 This when you decide whether you want to use files or partitions when offering the targets storage to the iSCSI clients. For the tutorial I will be using files. To create a file we can use dd to create and empty file that will grow once the users start storing file in it. The file weights 50GB. I want to store the resulting files in a different path than my home directory which is why I specified that the file be deposited at /media/volume0. 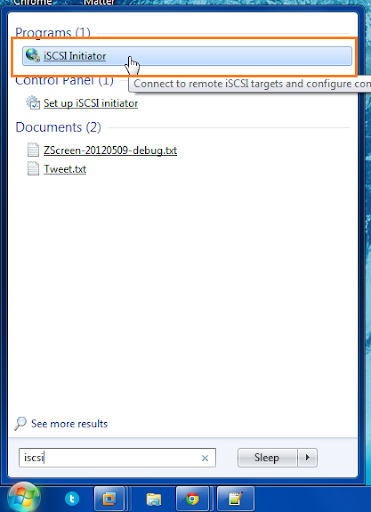 Configurations and targets we create can be found in the /etc/iet/ietd.conf configuration file. If you don’t want to use files you can also use partitions, just use Lun 0 Path=/dev/sdb1,Type=fileio instead. The first line can be changed, but the second line specifies where the LUN actually is. If you want, you could create a second LUN using LUN 1 Path=/XXXX XXXX XXXX and expose a second iSCSI drive withing the same target, this assumes you have created a second storage file. All that is left to do is restart the target with our changes. You are now connected, click on Done. 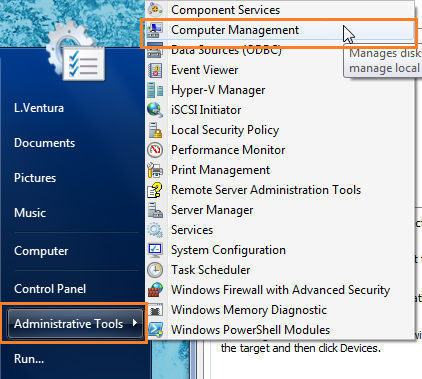 Go over to Administrative Tools > Computer Management. On the left sidebar you should notice the Disk Management option. 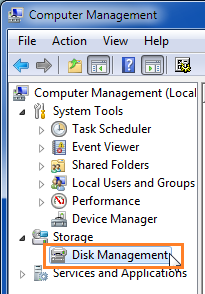 Look for the iSCSI drive, for this tutorial we made a 50GB drive which is listed at the bottom. Here you can choose to format the drive if you like. As you can see configuring an iSCSI target in Ubuntu doesn’t have to be complex. Keep in mind the above was just a basic installation, deploying iSCSI also brings other variables in to consideration such as security since the above configuration will allow just about any one to connect to the target. Perhaps I should make another post about iSCSI best practices, thank you for reading. Hmm was hoping 12.04 would include LIO. http://linux-iscsi.org/wiki/Main_Page <- should perform way better than IET(D).